"... Pretty effective so far, about 2 weeks in and I would compare the results to the former Novedex XT from the Gaspari brand. Took about 4 days to really feel it and noticing my strength go up pretty quick at this point. Zero side-effects at this point, or none that I expect." "... Managed to get some samples and used it for a couple of weeks.. within that short time I did notice a difference in strength and I was starting to look fuller and harder. Seems promising to say the least. I have since then continued with A-50 from BPI and that has actually also impressed me quite a bit." 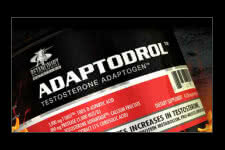 BetanCourt Nutrition - Adaptodrol / Adaptodren! 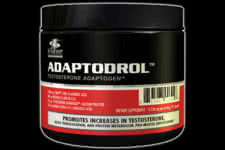 It's time to maximize your natural testosterone levels like never before with Adaptodrol! 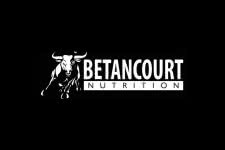 BetanCourt nutrition supplements has dived into the muscle building category with Adaptodrol! Increasing your testosterone is widely recognized as improving strength and muscle gains in males, and now it's possible to do so legelly and safely with the revolutionary Adaptodrol! With key ingredients of DAA and Calcium Fructate, this is proven and possible! One significanly raises test levels within a few hours and the other keep them high so you can benefit all day! This is not a prohormone or banned substance, Adaptodrol is a safe and highly tested supplement that will provide you with the muscle building goals you have! Share your opinions and results right here at fitfLEX! Powerful Combination of Calcium Fructate with D-Aspartic Acid! Boost Testosterone Levels and Maintain them Long-Term!